Think back to the last concert you went to. Or sporting event. Or just think back last weekend. How many photos did you take? And how many were with your smartphone? Today, 75 percent of all photos are taken with cell phones, according to The New York Times, and it’s justified: smartphone cameras are pretty dang good. That said, most iPhone owners shoot with the stock camera app, which can be limiting. The app allows for certain adjustments, like basic exposure and focus, by tapping the screen, but there are numerous third-party apps that ensure finer control of manual settings and pack additional features you didn’t even know about. Easiest to Use: If you’re seeking real-camera control, there’s the new app Halide. 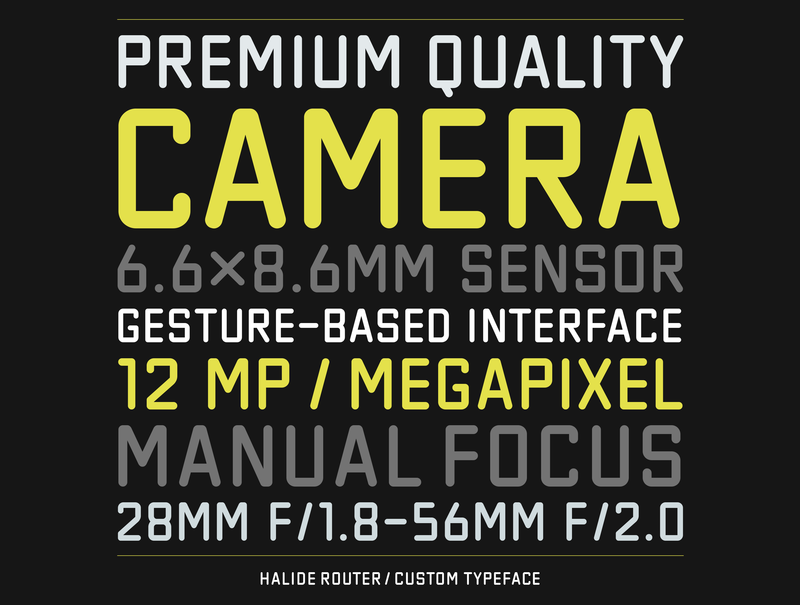 Created by two ex-Apple employees, Halide incorporates many features found on high-end cameras. You can shoot in RAW; you can adjust the ISO, manual focus and exposure; and, best of all, it has focus peaking. Competing apps like Manual and Focus have similar features, but Halide’s simple, intuitive interface is where it shines. It’s clear the app was carefully thought out by professionals in the mobile industry; a custom typeface was even designed for optimal clarity. The end result is a good-looking, intuitive camera app that will make it easy to boost the quality of your photos. For the True Photographer: Adobe Lightroom uses a very detailed capture screen, with control for everything from shutter speed to white balance. The app conveniently groups its features into categories at the bottom of the screen (Crop, Presets, Light, Color, Effects and Optics) so as not to overcrowd the frame while you’re shooting. You can also tag photos with captions to quickly find them later on your desktop, which is useful for making notes in the moment and keeping collections organized. If you’re already using Adobe’s creative suite, you can access your Lightroom mobile shots anywhere, and edits transfer over to your desktop. Most Features: Pro Camera+ is one of the only camera apps to incorporate the shooting modes from the stock iOS camera (time-lapse, slo-mo video, burst mode, panorama, self-timer), and adds a host of additional features such as a fullscreen shutter button and image stabilization — it can even turn your Apple watch into a remote shutter. Pro Camera+ also lets you set a focus point separate from an exposure point, a seriously overlooked feature of the iOS camera. For the Minimalist iPhone Photographer: VSCO Cam is well used by photographers both pro and amateur. The app has similar features to its competitors, but its minimalist design is what makes it a fan favorite. VSCO uses icons instead of text to label its functions, so it takes a second to figure things out, but the app features a great set of tools nonetheless. Compared to all the others, this is the most stripped-down camera replacement app; it’s simple and elegant, and it even has its own curated feed of users’ best photos.